Upto 70% Off on Beauty Products. Shop from Makeup, Skin care, Hair care, Bath & Body, Fragrance and more. Shop From Best Selling Brands Including Loreal, Lakme, Maybelline, Toni & Guy, Vella, Schwarzkopf, The Body Shop, Revlon And Many More. No coupon code is required. Offer is valid for limited time. Hurry! Shop Now. Use this Offer and get Flat 15% - 40% OFF on Shapmpoo & Conditioners from Nykaa. Products from all leading brands like Dear earth, Fab India , Anherb Natural are on offer. This Offer is usable for all customers. To visit landing page click on Get Offer. HURRU UP ! Enjoy this coupon as Soon as Possible. Nykaa presenting Upto 40% OFF on Nykaa Face Makeup Products. This Offer is valid for all customers. To visit landing page click on Get Offer. Enjoy the Offer before expiry! Nykaa offering Upto 50% Off on Bath & Body Care Products. Various branded products like Maybelline New York, The Body Shop, Aloe Vera, Bare Essentials, Be the Solution and so many other on sale. This Offer is valid for all customers. To visit landing page click on Get Offer. Enjoy the Offer before expiry! Nykaa offering Upto 30% OFF on All Branded Products. This Offer is valid for all customers. To visit landing page click on Get Offer. Enjoy the Offer before expiry! Use this Coupon and get Extra 10% OFF on Your Order from Nykaa. Make payment using CITI Bank to avail this Coupon. Minimum cart value has to be Rs. 15000. Avail maximum discount of Rs. 500. This Coupon is redeemable for all users. This code can be used 2 times per user. Click on Get Code to unlock coupon and visit merchant. Hurry! Make most of this offer soon, as it expires on 05 Jul 2017. Nykaa offering Upto 80% OFF on Beauty and Makeup Products. Complete the payment by Bank of Baroda to get the Upto 80% OFF. This Offer is valid for all users. To visit landing page click on Get Offer. Enjoy the Offer before expiry! Nykaa offering Upto 40% OFF on Maybelline Products. This Offer is valid for all users. To visit landing page click on Get Offer. Enjoy the Offer before expiry! Nykaa extending Upto 40% OFF on Hair Brushes, Combs, Straighteners, Rollers and Curls. Various branded products like Philiips, Hair Essentials, Mr on sale. This Offer is valid for all users. To visit landing page click on Get Offer. Enjoy the Offer before expiry! Redeem this Offer and get Flat 10% OFF on Neutrogena Products from Nykaa. This Offer is redeemable for all customers. To visit landing page click on Get Offer. Hurry! Make most of this coupon soon, as it expires on 16 Jun 2017. Use this Offer and get Get 20% OFF on VLCC Products from Nykaa. 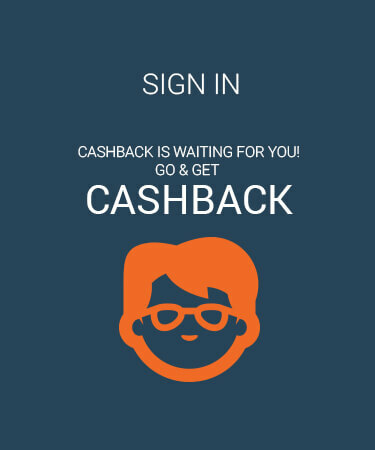 Make payment using ICICI Pocket Wallet to claim this Offer. This Offer is applicable for all customers. To visit landing page click on Get Offer. Hurry! Grab this coupon soon, as it expires on 16 Jun 2017. Nykaa offering Upto 25% OFF on Herbal Products. Various branded products like Kama Ayurveda, VLCC, Lotus herbal, Sunflower on sale. This Offer is valid for all customers. To visit landing page click on Get Offer. Enjoy the Offer before expiry! Redeem this Offer and get Get 50% OFF on Facewash, Scrubs and Creams from Nykaa. Products from all leading brands like The Body Shop, O3, Lotus Herbal, Loreal Paris and so many others are on offer. This Offer is redeemable for all customers. To visit landing page click on Get Offer. Hurry! Make most of this offer soon, as it expires on 16 Jun 2017. Avail Minimum 20% OFF on Lipstick, Lip Gloss, Lip Liner & More. Offer is applicable on brands like NYX, Maybelline New York. This Offer is applicable for all customers. Click on Get Offer to check products on offer. Offer valid till 16 Jun 2017. Nykaa offering Upto 30% Off on Kajals, Eye Lines, Mascara & More. Valid for limited time. This Offer is valid for all users. To visit landing page click on Get Offer. Enjoy the Offer before expiry! Nykaa presenting Upto Rs.1000 Off on Makeup Products and Cosmetics. Various branded products like Lakme, Mabelline, NYX, Colourbar are waiting just for you on sale. This Offer is valid for all users. To visit landing page click on Get Offer. Enjoy the Offer before expiry! Nykaa extending Upto 35% OFF on Lakme Products. This Offer is valid for all users. To visit landing page click on Get Offer. Enjoy the Offer before expiry! Nykaa presenting Upto 80% OFF on Men Grooming Products. Various branded products like Gillett, Ustraa, The Man Compnay and Axe on sale. This Offer is valid for all users. To visit landing page click on Get Offer. Enjoy the Offer before expiry! Use this Offer and get Get 30% OFF on Nivea Products from Nykaa. This Offer is usable for all users. To visit landing page click on Get Offer. Hurry! Make most of this offer soon, as it expires on 16 Jun 2017. Nykaa extending Upto Rs.500 OFF on Makeup Kits. Various branded products like Maybelline New York on sale. This Offer is valid for all customers. To visit landing page click on Get Offer. Enjoy the Offer before expiry! Nykaa extending Upto 30% OFF on Schwarzkopf Products. This Offer is valid for all users. To visit landing page click on Get Offer. Enjoy the Offer before expiry! Nykaa extending Upto 30% OFF on Designer and Comfy Bra. Various branded products like Zivame, Clovia, Pretty Secrets, Enamor on sale. This Offer is valid for all users. To visit landing page click on Get Offer. Enjoy the Offer before expiry! Use this Offer and get Get 30% Off on Color Bar Items from Nykaa. This Offer is redeemable for all users. Valid for limited time. To visit landing page click on Get Offer. Hurry! Make most of this coupon soon, as it expires on 16 Jun 2017. Redeem this Offer and get Flat 10% OFF on Female Hygiene Products from Nykaa. This Offer is usable for all users. To visit landing page click on Get Offer. Hurry! Grab this offer soon, as it expires on 16 Jun 2017. Nykaa offering Upto 40% Off on Loreal Paris. This Offer is valid for all customers. To visit landing page click on Get Offer. Enjoy the Offer before expiry! Redeem this Offer and get Flat 20% Off on Face & Eye Brushes from Nykaa. Products from all leading brands like M are on offer. This Offer is usable for all customers. Valid for limited time. To visit landing page click on Get Offer. Hurry! Make most of this coupon soon, as it expires on 16 Jun 2017. Nykaa offering Upto 40% OFF on Dove Products. This Offer is valid for all customers. To visit landing page click on Get Offer. Enjoy the Offer before expiry! Nykaa presenting Upto 40% OFF on Maternity Care Products. Various branded products like Bio Oil, Kama Ayurveda on sale. This Offer is valid for all customers. To visit landing page click on Get Offer. Enjoy the Offer before expiry! Nykaa presenting Upto 60% OFF on Wide Range Of Baby Care Products. Various branded products like AVON, Bare Essentials, Dove on sale. This Offer is valid for all users. To visit landing page click on Get Offer. Enjoy the Offer before expiry! Get Minimum 10% - 40% Off on Ponds Products. Valid for limited time. This Offer is to be used by all users. Click on Get Offer to check products on offer. Offer valid till 16 Jun 2017. Redeem this Offer and get Get 35% OFF on TRESemme Products from Nykaa. This Offer is applicable for all customers. Valid for limited time. To visit landing page click on Get Offer. Hurry! Enjoy this coupon soon, as it expires on 16 Jun 2017. Use this Offer and get Get 20% Off on Tony & Guy Products from Nykaa. This Offer is redeemable for all users. Offer applicable on products listed on landing page. To visit landing page click on Get Offer. Hurry! Make most of this offer soon, as it expires on 16 Jun 2017. Nykaa presenting Upto 30% OFF on TreSemme beauty products. Offer applicable on products listed on landing page. This Offer is valid for all users. To visit landing page click on Get Offer. Enjoy the Offer before expiry! Nykaa offering Upto 35% OFF on Braun Personal Care products. This Offer is valid for all users. To visit landing page click on Get Offer. Enjoy the Offer before expiry! Use this Offer and get Flat 15% OFF on Berkowits Hair & Skin care products from Nykaa. This Offer is redeemable for all users. Offer applicable on products listed on landing page. To visit landing page click on Get Offer. Hurry! Make most of this coupon soon, as it expires on 03 Aug 2018. Nykaa offering Upto 30% OFF on Maybelline beauty products. This Offer is valid for all users. To visit landing page click on Get Offer. Enjoy the Offer before expiry! Nykaa offering Upto 40% OFF on Park Avenue Perfumes. Offer applicable on products listed on landing page. This Offer is valid for all users. To visit landing page click on Get Offer. Enjoy the Offer before expiry! Nykaa extending Upto 30% OFF on Bio Oil Brand. Promo code not required to redeem this offer. Offer applicable on products listed on landing page. This Offer is valid for all customers. To visit landing page click on Get Offer. Enjoy the Offer before expiry! Nykaa extending Upto 15% OFF on Ponds beauty products. This Offer is valid for all customers. To visit landing page click on Get Offer. Enjoy the Offer before expiry! Use this Offer and get Flat 25% OFF on Nivea beauty products from Nykaa. This Offer is redeemable for all users. To visit landing page click on Get Offer. Hurry! Grab this coupon soon, as it expires on 03 Aug 2018. Redeem this Offer and get Additional 5% OFF on Kaya beauty products from Nykaa. Minimum cart amount should be Rs. 1499. This Offer is applicable for all customers. To visit landing page click on Get Offer. Hurry! Make most of this coupon soon, as it expires on 03 Aug 2018. Nykaa extending Upto 15% OFF on Vega Hair care products. This Offer is valid for all customers. To visit landing page click on Get Offer. Enjoy the Offer before expiry! Redeem this Offer and get Flat 20% OFF on Colorbar beauty products from Nykaa. This Offer is redeemable for all customers. To visit landing page click on Get Offer. Hurry! Grab this offer soon, as it expires on 03 Aug 2018. Redeem this Offer and get Flat 10% OFF on Kaya beauty products from Nykaa. Minimum cart value has to be Rs. 999. This Offer is redeemable for all customers. To visit landing page click on Get Offer. Hurry! Grab this offer soon, as it expires on 03 Aug 2018. Redeem this Offer and get Flat 30% OFF on Lay beauty products from Nykaa. This Offer is applicable for all customers. Offer applicable on products listed on landing page. To visit landing page click on Get Offer. Hurry! Grab this offer soon, as it expires on 03 Aug 2018. Nykaa offering Upto 30% OFF on Hair Care Solutions. Various branded products like Tresemme, Dove, Toni&Guy, Sunsilk, Pure Derm, Indulekha on sale. This Offer is valid for all customers. To visit landing page click on Get Offer. Enjoy the Offer before expiry! Nykaa presenting Upto 5% OFF on Matrix Hair Care products. This Offer is valid for all users. To visit landing page click on Get Offer. Enjoy the Offer before expiry! Nykaa presenting Upto 30% OFF on Toni & Guy Hair Care products. This Offer is valid for all customers. To visit landing page click on Get Offer. Enjoy the Offer before expiry! How to use Nykaa Offers, Deals & Discount, and Promo Codes & Coupon Codes? Go to PaisaWapas.com type Nykaa in the search bar and press enter. Copy the Code and apply Nykaa checkout page. To get all season Trendy look with Nykaa products with exciting Offers, Coupons, Promo Codes and Extra Cashback on Body & Bath products, Face Makeup, Fashion accessories, Maybelline Products, Lakme Bridal Store, Revolution Makeup, Colorbar Beauty Product, Lotion & Fragrance and All brand products at affordable price. Beauty is not all about makeup which you are using. It gives you lots of confidence because when you are felling good and healthy from your inner side you will get confidence to do things in best way. Today people are very much concern about their beauty and health. Now days social media plays an important role in every individual’ life because in every next second people are uploading their lots of selfies and for that they want flawless and selfie – ready look. They prefer branded beauty care product. Nykaa is one of the India's most prestigious online beauty and wellness shopping store founded in 2012 by Falguni Nayar. Falguni Nayar is a former managing director of Kotak Mahindra Capital Company. Nykaa has 1, 78,659 customer all over India. They are very much concern about their customer that’s why they are telling “Your beauty, Our passion”. Nykaa has customers from all over the world, more than 900 cities. Nykaa is providing you best beauty products which will enhance your outer beauty as well as inner beauty. Whenever you use Nykaa products you will look gorgeous and fabulous and get the confidence to rock the world. When you start walking, the world become your ramp and you will be like a supermodel. Nykaa product will make you beautiful with lots of confidence. They have many branded product with them like Lakme, L’oreal, Nykaa, Revolution, Tony&Guy, Maybelline, Nivea, Kaya, Lotus, Bio-Oil, Neutrogena, Matrix, MAC, MUA, Wella, Australis, Olay, VLCC, Biotique and many more. They newly launched new brands like MAC, Orly, The body shop, The Face Shop, Bobbie Brown, Milani, The Balm, Innisfree, Ahava and other brands. They are not providing you only beauty product but also guide you through their blogs, expert’s advice, beauty tips, videos on beauty and personal care. They have wide range of products. In their product line they have Make-up, Skin & Hair Care, Beauty Appliances, Personal care, Herbal product, Mom & Baby Care, Wellness, Men’s Care, Luxury and other products. They have different category like Face make-up, Eyes & Lips make-up, Nail Art, Make-up Kit, Body Art, Tool & Brushes like Compact, Blush, Foundation, Primer, Kajal, Mascara, Lipsticks, Lip glows, Lip Crayon, Contour, Eye Makeup, Brush set, Makeup remover, Eye linear and many more products. In this product line Nykaa has huge range of Skin & Hair Care product like Anti- Ageing, Massage oil, Skin Lightening, Dull Skin Protection, Dry Shampoo, Sunscreen, Lotion & Cream, Moisturizer, Day&Night Cream, Anti-stretch Mark, Hair Extension, Hair Accessories, Straightener, Colour Protection, Hair Cream & Masks and other products. In Nykaa there are many brands like VLCC, AromaMagic, Lotus Herbal, Sunflower, Biotique, Kama Ayurveda, Ayurveda, Forest Essential and many other brands, who are providing herbal product like Facewash, Massage oil, Aromatherapy, Hairfall, Tan remover, Acne treatment, Dandruff, Bath Gel, Soaps, Lip balm, Lipsticks, Hail oil, Eye linear, Kajal, Mascara and many more branded products. Nykaa also have a good range of products for all mummies. They have Bath& grooming, Health & Hygiene, Oral Care, Feeding & Nursing, Baby Accessories, Maternity care and many other products. All branded product you can find for your baby like Johnsons, Himalaya, Pigeon, Mamaearth, Chicco, Baby Dove and others. If you don’t have any idea about beauty products then don’t worry Nykaa is providing you online Expert’s advice, so if you have any question related to your beauty then they will suggest you the best solution of your problems. Nykaa is also providing you various Beauty Blogs, Videos and information which will help you to get flawless and gorgeous skin. If you are newly mother and not able to understand that which brand product is good for you and your baby then take a advice from Nykaa’s Expert. They will give you proper guidance and suggest you best brand product for you and your new born baby. For all new mummies Nykaa is providing you many Blogs, Videos, Information which will help you to take care your baby in better way. Nykaa will give you stunning and flawless look. You will get all season beauty products no matters whether it is any casual party, traditional function, family get together or any office meetings. Here you can also find some beauty tips, reviews, beauty books, trendy looks, So that you can flaunt your beauty in front of everyone. we are really happy to help you. 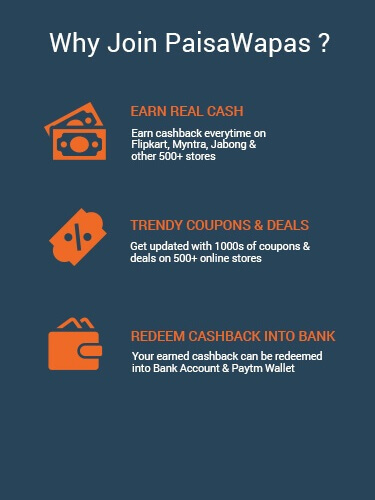 You can also get cashback & rewards on flipkart & amazon by using flipkart offers & Ajio Coupons & Offers listed on PaisaWapas.com. Step 2: Click on the offer that you want. This will take you to Nykaa Website. Step 3: Shop normally at Nykaa . Pay as you normally do, including by Cash-on-delivery.